Search our stunning collection of women's jewelry here. 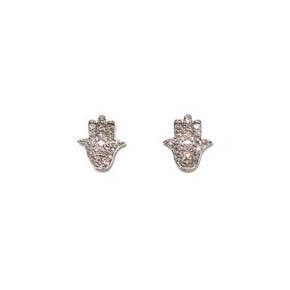 Shop earrings and rings for the lovely woman in your life, or maybe even for yourself! This ornate snake motif ring is an ideal choice for the man who wants a unique accessory. 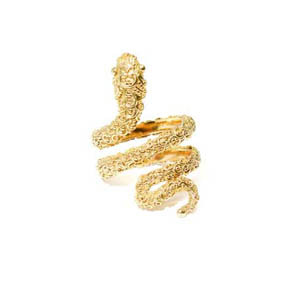 The 18k Snake Ring is intricately detailed, and coils three times around the finger to make a striking statement. 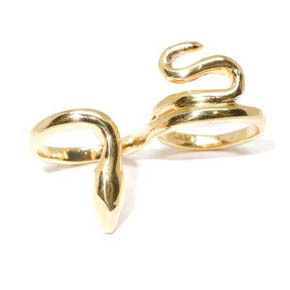 A smooth, high shine 18k Gold two fingered ring in a coiling snake style. This unique ring is designed to be worn around two fingers and features a simple, smooth snake shaped band. Find the finest collection of women's designer jewelry that Lazaro Soho has to offer. 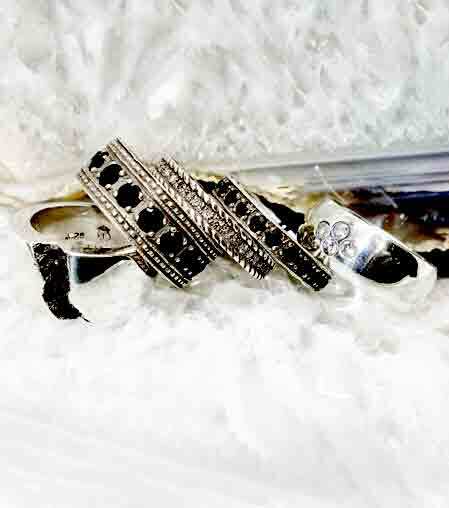 Discover designs like women's diamond jewelry, women's cross jewelry, and women's bullet jewelry. Our assortment of unique women's jewelry is the perfect place to find designer women's fine jewelry.